We’ve previously talked about the supply chain challenges modern manufacturers face to derive data insights across disconnected systems and geographical distances. In this blog, we’ll discuss a few more use cases across the manufacturing industry and discuss the promise of a Knowledge Graph platform in unifying siloed data. In his latest book, New York Times author AJ Jacobs decided to thank every person involved in producing his morning coffee. His journey unfolds across the globe, revealing the many thousands of people, disparate processes, and complex supply chain logistics involved. In his own words: “It took the combined labour of chemists, politicians, mechanics, biologists, miners, packagers, smugglers and goatherds. It required aeroplanes, boats, trucks and shoulders and hundreds of materials, including steel and bat guano…It is my morning cup of coffee.” A Thousand Thanks is about gratitude, but AJ Jacobs gives us insight into how global and complex the modern manufacturing world is. This applies to every single item we have come to depend on, from our collective coffee, chocolates, cars, and beyond. Manufacturers are realizing that in order to stay relevant in this hypercompetitive world, they must become “data-driven.” This means using data-driven insights to tighten links between the raw materials and market. Not as easy to implement as it sounds. The data needed is decentralized and siloed in disconnected systems across different segments, organizations, and countries. Traditional tools are not equipped to deal with the sheer scale and complexity of globalization and outsourcing. As AJ Jacobs discovered, between the farmer on the mountains of Colombia and the barista in New York, coffee goes through roasters, inspectors, importers, truckers, and more. Optimizing processes across disconnected systems, vast geographical areas, and fast moving entities can seem impossible. The challenge is threefold: customer expectations, variable demand, and global competition. Customers are primed to expect lower costs and fast delivery times, in spite of the increasing complexity, which in turn puts more pressure on companies to guarantee efficiency. Global competition requires cost-effectiveness in every step of the process for companies to remain viable. Real-time visibility into the entire supply chain, from processing raw materials to delivering finished goods, is therefore critical to success. With a Knowledge Graph, manufacturers can use a single platform and gain a comprehensive view of processes, product quality, and delivery accuracy, making supplier auditing easier and more transparent. The Occupational Safety and Health Administration (OSHA) is a U.S. federal agency that sets standards for healthy working conditions, which feeds into strict manufacturer regulations. Tracing the coffee example, roasters are required to monitor air samples, temperature, and carbon monoxide. Manufacturers must keep track of mechanical failures requiring engineers to perform repairs in sometimes hazardous conditions. A Knowledge Graph unifies disparate data silos, including failure data, operational hazards data, as well as safety and compliance rules and relates it to previous accidents. A unified “Manufacturing Safety Graph” correlates all the information in one place to drive improved processes throughout operations. Instrumented and connected assets generate massive amounts of structured and unstructured data, which are spread across multiple silos. The result is too much “noise” emanating from all the sensors and fragmented data. There are thousands of machines, each with different data formats and zero standardization, placing manufacturers at risk of making blind decisions. Current industry intiatives designed to alieviate these issues, like building a digital twin and or electronic bill of materials (eBOM) system, immediately face these data challenges. A Knowledge Graph creates a consolidated view of all data, regardless of format, line of business, data velocity, or type. The patterns across data can detect anomalies to discover defective products earlier in the pipeline and give warnings of issues downstream. A Knowledge Graph also gives recommendations for prescriptive maintenance, moving from planned preventive maintenance to a state where the systems predict their own required maintenance and prescribe action. Manufacturers face increasing pressure to shorten product life cycles, reduce development cost, ship faster, and remain agile enough to respond to changing business needs. Leading companies have embraced a lean journey. A working lean solution, however, requires a holistic approach to managing organization, people, and technology throughout the entire product lifecycle. The main challenge is that different groups like designers, engineers, service providers, and suppliers are locked into their own industry-specific systems. How do you make decisions in the face of a volatile market and demand? How do you unify data silos across management design partners, suppliers, and service providers? Fortunately, Knowledge Graphs are optimal for diverse data sets at scale, providing a schema-flexible approach to data modeling. A Knowledge Graph lets you instantly adjust to volatile market demand. Bosch, a world-leading multinational engineering and electronics company, launches more than 100 new power tools to its global product line annually, with over 50,000 products in total. Data about these tools is spread across over 100 relational databases. Bosch faced the same challenges as other retailers in the competitive online marketplace: How do you improve the customer experience with searchable content and product recommendations across siloed data sources? Effective recommendation engines require a lot of disparate data, from inventory to customer profile, pricing index, weather, etc. And the variety of data ranges from structured to unstructured, behavioral, and legacy. Knowledge Graphs allow for companies to access, query, and profit from diverse sets of data. 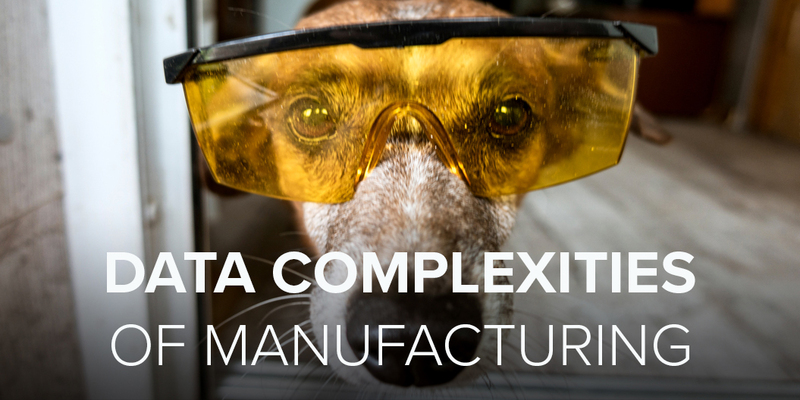 The path to a profitable future in manufacturing is paved in data, even if it is simply coffee. To move to a “data-driven” state, connect the dots across the supply chain by unifying diverse data sources to uncover existing patterns. Manufacturers like Bosch and Schaeffler are taking advantage of emerging technology like Knowledge Graphs to ensure data unification without the added cost of high infrastructure and ad hoc resource investment. Stardog is the only Knowledge Graph platform that incorporates machine learning with semantic reasoning, enriching the data with inference and logical reasoning to make implicit facts explicit. To learn more about Stardog’s platform, read our Knowledge Graphs 101 guide.